Kelly is Serendipity’s Project Manager and has a BA (Hons) in Dance Performance from Middlesex University and a PGCE from Greenwich University. 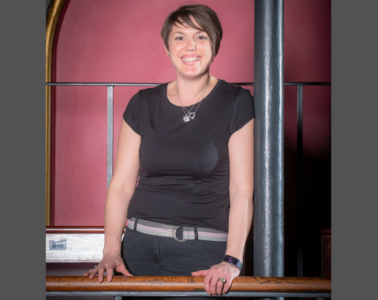 She has been a Dance and Performing Arts tutor for 20 years, working with young people in East London and Leicester. Throughout her teaching she has fully engaged in work with external partners and has developed a range of project work with professional collaborators and young people, as well as co-leading project work as a choreographer. Kelly has researched and co-wrote a chapter of a published book ‘The Creative College’ and for the University of East London researched and wrote their BA(Hons) Urban Dance Degree validated in 2007. She also worked in partnership with East London Dance to deliver an a highly successful evening course – The Community Dance Practitioner. Kelly is looking forward to highlighting opportunities for others wanting to access the creative arts, especially in dance and build a high quality of experience for all.